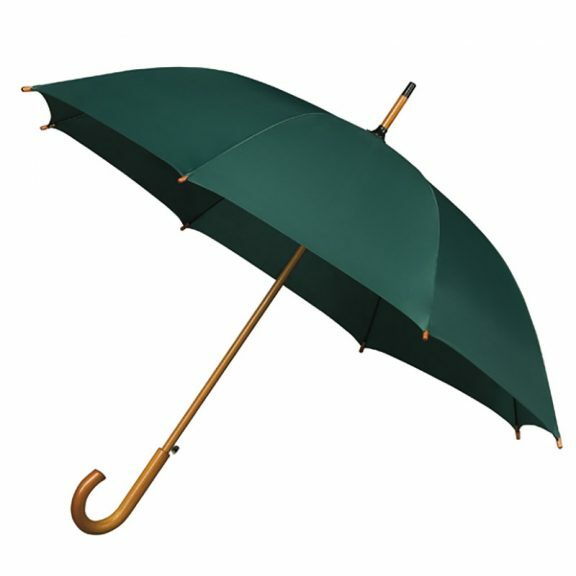 If you’re not looking for anything too fancy and it’s a traditional walking umbrella in green that you have in mind this could be for you! Scroll down for more details. 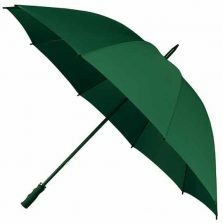 Our green wood stick umbrellas are one of a range of beautiful colours with a wooden shaft, handle and matching spoke tips. This automatic opening range is also perfect if you don’t want to spend too much money. This is a plain green umbrella, a green walking umbrella with the added benefit of a push button auto-open mechanism for convenience and ease of use. 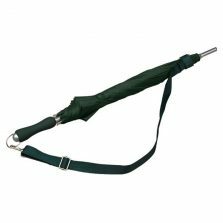 Please note this umbrella does have it’s limitations – it’s certainly not classified as a windproof umbrella or a stormproof umbrella. 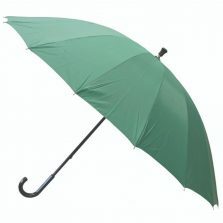 However, it is a good value, sensibly priced umbrella and providing you use it sensibly it should last for many years. 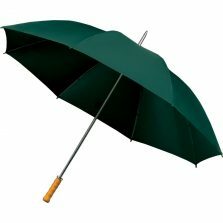 If you prefer a windproof green umbrella then our Warwick Green Windproof Umbrella is another option you might like to consider. Not the right umbrella for you? Check out the rest of our quality ladies umbrellas!